I know. I know. Another damn WWE PPV, right? Yes, indeed. Interesting enough, while RAW on paper looks better than Smackdown, Smackdown is actually the better of the two shows easily and it looks as if they will once again upstage RAW on the PPV front. Much like Backlash, this PPV doesn't seem to be TOO great on paper, but what makes this PPV exciting is the build to it. That's right. 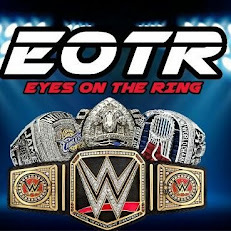 A WWE PPV is exciting because of the build up to it. With that, let's get into this No Mercy preview and look at what this Sunday has to offer us. There are 6 official matches, but I suspect Jack Swagger vs Baron Corbin to be added as a possible Pre-show match along with American Alpha vs The Ascension. American Alpha is not getting the love they deserve on Smackdown and it's actually one of the biggest mistakes of the brand so far. Hopefully these get added. -I really don't care about this feud anymore, but I think that we have to let Heath and Rhyno continue their run and maybe feud with the Vaudevillains or The Ascension after this. Then let the Usos feud with American Alpha for a few months before American Alpha finally get the titles. 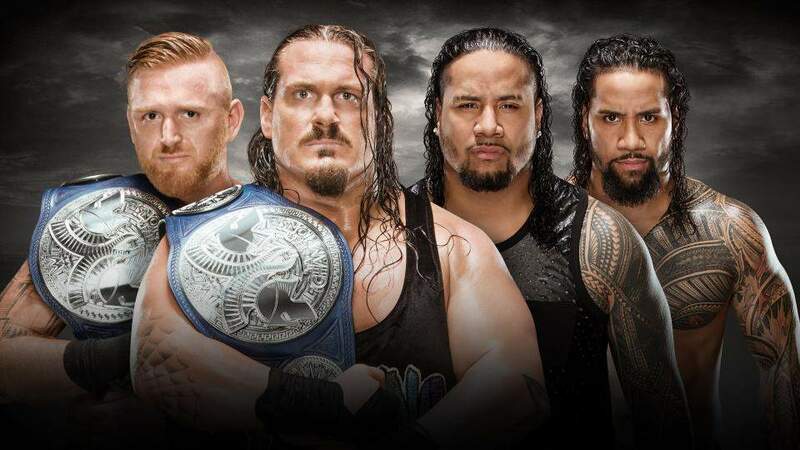 The Usos don't need another title run and I'm not sold on their new heel turn. Sure, they are better than as faces, but it's not saying very much. I hope Slater and Rhyno retain. -To be honest, I don't care about this one either. Carmella nor Nikki are actually good wrestlers so this match will likely be a bit sloppy and hilarious to watch from my perspective. Still, I like how they have paced this feud and I hope Carmella gets a win and keeps trying to get better because she could get a future feud for Becky Lynch in a few months with some improvement and she could be a really fun heel if she focuses. IF. -Does anyone really care? No. I damn sure don't. I think the worst thing about this is simply that no one cares and Smackdown has an issue of investing into these guys who we never cared about, like Hawkins and Swagger. This will likely be a squash match, and pointless. This is the one that seems to be the most disappointing on the card. -The build to this one is strange, but entertaining in the same respect. I don't really see much good coming from this feud and I only mean that with regards to Bray. I think you'll see Bray lose this match and this feud could likely continue one more month since it is really just getting started, but I think Orton wins this match and then Bray terrorizes him a little bit more before one final Orton win on Smackdown leading into some type of Survivor Series team match at the PPV (Bray, Harper, The Ascension vs Orton, Ziggler, American Alpha?) and ending the feud officially. Either way, I'm interested to see how this plays out, and if Bray wins, I'd be surprised. -Career vs Title. I can't see Ziggler losing this one, but if he does, it makes sense that his last few months in wrestling have been contesting for titles. I see Ziggler winning this one, and while I'm not totally invested in this one, I'm curious to see the result and how intense the match can be. I think they've at least done a great job of building this one when most of us didn't even want to see it in the first place. Now, to be fair, I still don't really care, but I can recognize the good job that Smackdown has done here and the good job both Miz and Ziggler have done. -I'm not fully sure how I feel about Alexa Bliss. She reminds of a Kelly Kelly type look wise, but perhaps just a little crazier. I like Becky Lynch and I would like to see her continue her reign and I'm sure she will. 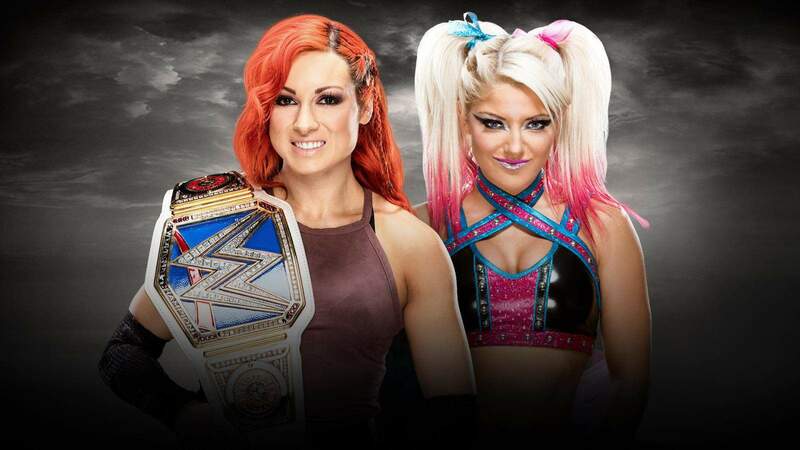 There is no one ready to take the title from her on Smackdown, and Alexa will lose in a hopefully good contest and perhaps they will continue the feud another month because I like these two against each other as far as chemistry goes. -A potential classic that has brought out the best in the two guys that it needed to. I hope we get more Ambrose vs Styles matches for the title and that Cena goes away for months and stays out of the WWE Title picture. I like the attitude and arrogance from Cena lately and hope that allows him to take the pin as AJ retains, causing Cena to go away and letting AJ help to carry this feud with Ambrose one on one even more. I think Ambrose vs Styles could be a defining rivalry for the brand, and since this triple threat became official, I've seen Ambrose look more focused than he has in quite some time. Let's hope he keeps it up and we get more from Ambrose and he stays around the title picture. 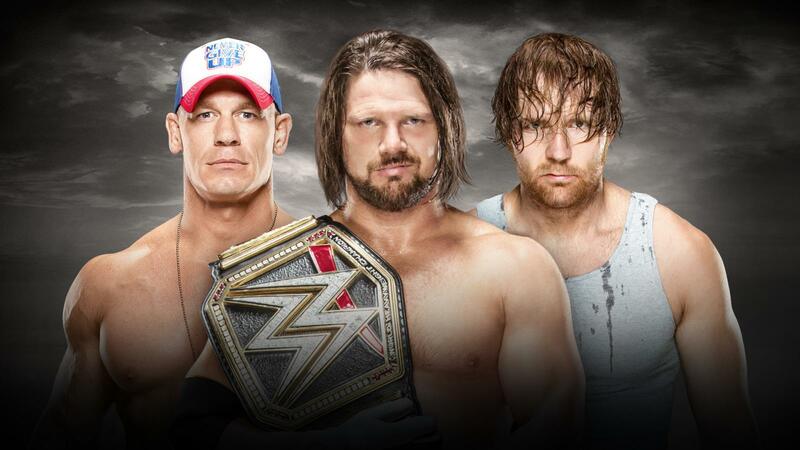 I predict AJ retains by pinning Cena and then we get Ambrose vs Styles once more before Styles moves on to Orton for a few months. Regardless, this should be match of the night. This PPV looks to be a sleeper, but somehow it's been built up very very well. Let's hope we see a classic match or two here, as the build has definitely given us the opportunity to see one. Let's see if the show can deliver or exceed expectations.